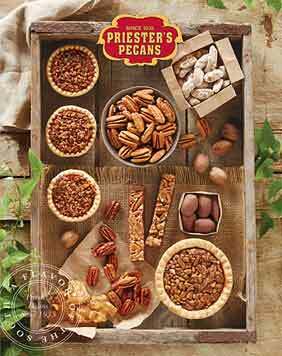 When it comes to Priester's nut treats, we say the more the merrier. 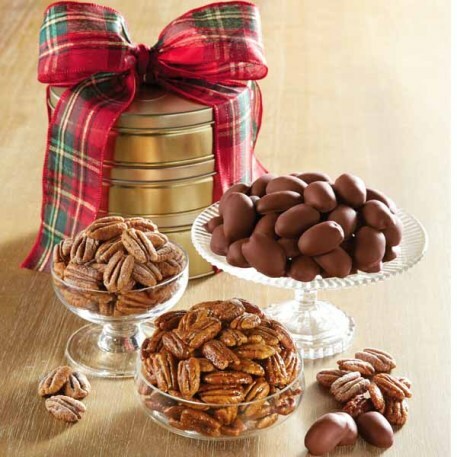 We fill three golden gift tins with Roasted & Salted Pecans, sweet Honey Glazed Pecans and dreamy Milk Chocolate Pecans, stack them on top of the other, then tie them all together with a holiday ribbon. Beautiful presentation along with delicious pecans!